so that we can discuss more generally about 'hand types' here. anu said - "a simian variant on a water hand..."
Lynn said - "in 5 element chirology, Ravel's isn't a water hand - palm is too wide and fingers too short. It's basically a fire shape hand." Martijn said - "Regarding what you wrote about the water hand, I think we can add that usually the numerous lines in a typical water hand have a 'fine, delicate structure'. So, I think the structure of Ravel's many lines... has an element of fire as well. But I guess one could argue that the many lines relate to the element water - so that might explain Anu_d's assocation." Lynn said -"Sorry I made an assumption that anu was talking about hand shape, as that's how you'd normally refer to "a water / air / fire / earth hand". The quality of Ravel's lines appear to be mainly air width & fire form. Lots of lines can be water or air, in Ravel's case I'd say more of an overall air type energy in his lines." anu_d wrote: Hi Lynn...thx....I have read when there is a mesh of excessive lines on a hand it is a water hand....it could be perfect or a mix type water hand. if the shape is square ( earthy) then such a hand with mesh of excessive lines all over would be a perfect water hand. however if the shape is fire like...as you pointed then it would be a mixed fire-water type. Ok I understand, but I guess maybe that was written by someone who didn't study 5 element chirology - do you remember where you read it? when we talk about "water hand" we usually mean handshape (hence sorry I misunderstood you). But everything on the hand can be 'ruled by' an element. Mesh of very fine lines is often found on water shape hands, but excessive mesh of lines can be found on other handshapes too (as Ravel). and then we have to look at quality of the lines by width, shape, markings, then there's the fingerprints etc etc, all aspects adding another piece of the element jigsaw! It would be very unusual to find an earth shape hand with a water mesh of lines. (edit, or more accurately - it would be unusual to find a water mesh of lines on an archetypal earth person). A "perfect water hand" would be one where water features predominate eg water shape with loop fingerprints, fine wavy lines, lots of markings, headline to luna, silk skin, long narrow fingernails, curved heartline, maybe extended relationship line, double heartline or GOV, large water quadrant (luna area) etc etc. With Ravel, altho fire handshape I think his lines are more air type mesh of lines - they are not watery width or form, so I think he was more intellectual than emotional. plus his 'lollipop fingers = air, + air dominant simian variant as you pointed out. All hands are a mix of all the elements, but usually two elements predominate as stronger in our personalities. anu since I posted this, we have gone off at a tangent on the "Introduction to 5-element hand analysis" thread, maybe you'd like to read that too. Sorry about my disappearence.....just too much work. and combinations of the above will produce mixed hands? hi anu. Everything on the hand can be classified according to the elements. eg in addition to your list - fingerprints & palmar patterns, flexibility of fingers, nail shape & markings, mounts, lines: width, length & markings etc. All hands will have some combination of elements. Basic classification (eg when we talk about 'an earth hand' or 'air hand') is just hand shape. but in practise you can find eg air lines or water skin on a fire handshape etc. I'm not sure where you got the idea that the one distinguishing feature of the water hand is excessive mesh like network of lines. Air hand shapes can have a lot of lines, so can fire hands. Look at the fire hand on Sue's website examples. This has a mesh of lines, but it isn't a 'water hand', some of the lines are water quality, some air and some fire. The distinguishing feature of a water hand shape is rectangular narrow palm, long fingers. 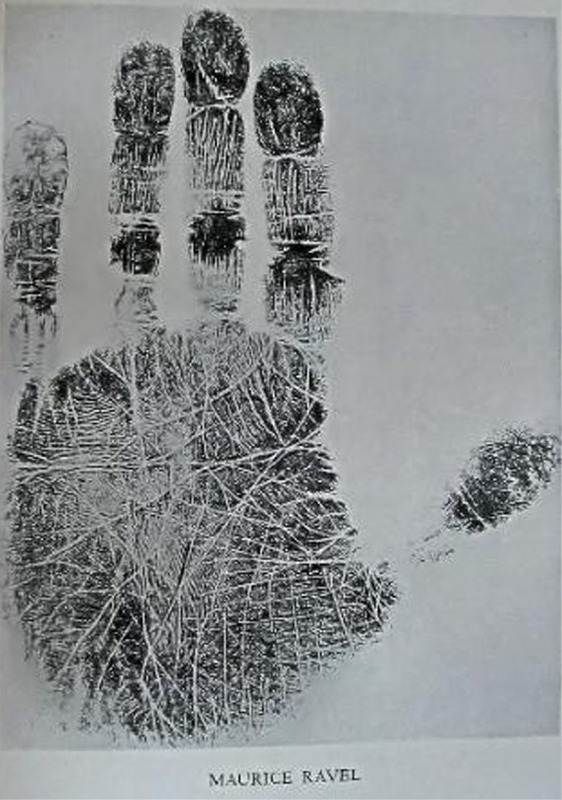 With lines, a mesh of very fine lines is a water characteristic but we wouldn't describe that as a 'water hand', neither would we would call a hand with 10 loop fingerprints a 'water hand' - but loops are also a water characteristic. We are all a mix of all elements in varying degrees so have to look at all features of a hand before we can say which element is dominant. maybe I'm not explaining this very well, sorry. Lynn, I think you've explained it quite well... it's not just about the number of lines, more important is the 'structure' of the individual lines + how they relate to eachother. I would describe a typical water-like line pattern as: a complex of many (1) rather fine (2) lines are positioned in a chaotic (3) composition. A typical earth-like line pattern displays the contrary pattern: only a few (1) rather broad (2) minor lines and there is harly any interaction between those lines (3). yes your idea about a water-like pattern of lines is correct Martijn, many very fine lines with erratic flow and chaotic pattern. Thinking of them as rivers of energy, water lines are like trickling streams, meandering in all directions. But earth is not contrary to water, it is contrary to air. In assessing lines you look at 4 things - quality by width, form/flow, length and markings. Okay Lynn, thanks for your confirmation. Now, I find it much harder to describe the major differences regarding a typical 'air-like' line pattern and a typical 'fire-like' pattern. Would you mind to describes these two - just like I described the other two? I tend to agree with Lynn that it is possible to determine the basic element type from the actual shape of the hands but as Lynn says, there will be more factors involved. If you take any birth chart you can see that the sun sign will be one element, but the planets may be dispersed throughout the elements equally. So it is with the hands. A typical mix would be a fire/water hand with a water shape - long fingers, long palms, but the depth of the lines may be fiery. A network of many lines in the hands means, at least for me, that there is a lot of energy moving around there! A fire depth to the lines will make this energy more passionate and energetic whereas a water depth will make this energy more delicate. When the number and depth of the lines match the elemental shape I would consider the element type to be stronger - I call these 'pure' types. Within my own family there are many pure types. I have air shaped hands and air lines but the number of these lines can vary depending on how stressed I am! I do remember a time when my hands took on a distinct watery appearance due to the high level of stress I was experiencing at the time but this wouldn't have changed my elemental type except that it may have made me appear more delicate and vulnerable possibly during that time. They have since returned to a much calmer air appearance, I'm pleased to say. But I was still essentially an air type, although the watery appearance would have been worthy of note during that time. My mother has a fire shape and very fiery lines in her palms and she is most definitely a fire type - it is dominant in her character. But my daughter has water depth lines appearing quite fragile and delicate with slim fingers and yet at the same time has quite noticeable square palms, suggestive of air. 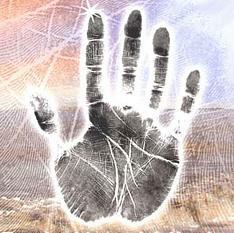 A quick check on people's birth charts often shows up the variety of elements within one person's palms - birth charts and hands tend to correspond with each other. The water hand on my web site is a water shape but the lines appear more fiery, adding a strong element of fire into the personality. My web page on the elements is not complete by any means and was not intended to be - it very briefly outlines, that's all. When determining elements it is necessary to check texture, hand shape, finger shape, the width, depth and number of lines in the palms and any other hand features that suggest strength in other elemental signs such as a strong Jupiter finger suggesting more fire, or a long mercury finger or developed mercury mount suggesting air. Hello Sue!! I am very pleased to see you posting again!! Hi Martijn I've been a very busy bee, lol, but am still around from time to time. great to see you posting here Sue. Thanks for your examples and explanations. I especially like the birth chart analogy. Martijn (admin) wrote: Okay Lynn, thanks for your confirmation. this is what I've been trying to say - you can't necessarily sum up a 'typical' line pattern in the way you attempted, as we are looking at so many factors when assessing lines. To attempt to summarize it could just be confusing for people who haven't studied 5-element hand analysis - and I'm not sure how useful such a summary is. In practice, you look at each line individually. Each line (even each section of each line) could have different elemental qualities by form, width, markings. The archetypal water line pattern that you gave describes them pretty well, but not all water hands are going to have water type lines. Earth also, but as I said you don't really see earth quality lines very often, though you will see hands with very few lines ("empty hands", which is an earth characteristic). although he has a "full hand" just as typical water type pattern does, his lines are a more air type pattern, in that there are a lot of air quality lines by width &some water) - but they are mainly fire form (straight). The difference between a 'fullhand' of air quality lines and a "full hand" of water quality lines - whilst both tend to live in their inner world - is that the air lines are more in the mental realm, the water are more emotional. Johnny Fincham's hands are air shape and mainly air type lines tho his air line is air length but fire quality. thehand on the front of Johnny's book "Spellbinding power" has fire width lines - fire quality lines stand out, you can see them from a distance. The distinguishing feature of a water hand shape is rectangular narrow palm, long fingers. ==>Lynn...it would be helpful if you can help elaborate what the distinguishing hand and finger shapes of the air and fire hands. Earth I understand. anu_d wrote: ==>Lynn...it would be helpful if you can help elaborate what the distinguishing hand and finger shapes of the air and fire hands. Earth I understand. Water - rectangular palm (usually longer & narrower than fire), long fingers. medium fingers = middle finger around 80% length of palm, typical fire might be around 75%, air 85%. Okay, regarding the first aspect (amount of lines), you've provided some useful info (the amount may vary much more in both 'air-like' lines and 'fire-like' lines). But can you specify in your own words on the other 2 aspects? (For example: regarding Ravel's example, you've described his lines as an 'air type pattern' + 'air quality lines by width'... but sorry, this is no observable description, so can you explain that with at least a few details: what exactly do you observe? - And can you specify regarding the minor lines? hi Martijn, well I already said 'sorry i don't think I can!' (answer your question) as I'm not sure there is a 'typical pattern' of fire & air lines. water - the finest, most delicate lines. air and water can often have numerous minor lines. Yes, these observations make sense for me. PS. Initially, I would have described Ravel's lines as 'fire-dominant' (because so many lines are rather straight & strong) - now I can even use your descriptions as an argument. But... ... finally, now I do understand why you described that the lines in that hand as 'air-dominant' ... because the major lines + minor lines + some accessory lines are rather long. Martijn, glad it makes sense to you. btw Ravel's lines aren't fire quality by width, they are not strong enough, too fine,,, but not fine enough to be water. Lynn wrote: Martijn, glad it makes sense to you. I was wondering... because we can actually see the dermatoglyphics in Ravel's handprint (while obviously it's not a high quality print), wouldn't that indicate that his dermatoglyphics + hand lines are actually quite strong... and not 'fine' at all? Yes, I recognize how the length of Ravel's lines is 'air-related' - but regarding the structure of the lines...I still think that 'fire-related' is more appropriate, especially regarding the minor lines + accessory lines - though I could add that the primary lines are relatively not very strong, but only when compared to the rather strong primary lines. 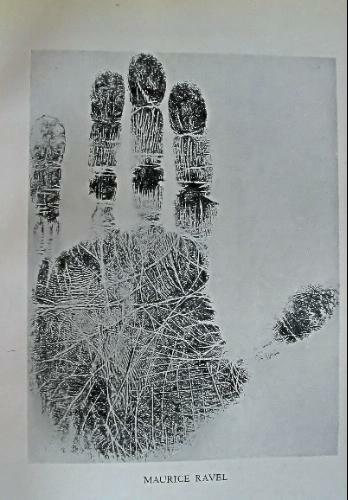 What's your thoughts after seeing the ZOOMED handprint below??? I didn't say they were 'fine' lines, I said 'too fine to be fire quality by width' (but not as fine as water width lines). I still think Ravel's lines are mostly air quality by width. compare Ravel's lines to the fire width lines on Johnny's bookcover. Do you notice that Ravel's are not as wide? Yes Lynn, I recognize how the major lines of your example illustrate your point... but could you specify your thought on the difference between the major lines and the minor lines? In Ravel's case some of the minor lines are even wider than the major lines...!!!? Lynn, your example is so small... are you able to post a larger example of 'fire-like' lines? PS. If I compare the ZOOMED version of Ravel's hand with a larger picture of Johnny book (see for example the preview version of Johnny's book at Amazon: http://www.amazon.com/Spellbinding-Power-Palmistry-Johnny-Fincham/dp/0954723058/ref=sr_1_1?s=gateway&ie=UTF8&qid=1285607705&sr=8-1#reader_0954723058 ) ... I think the major lines of both pictures do not differ much in width. But again... my major point concerns the minor lines in Ravel's hand.